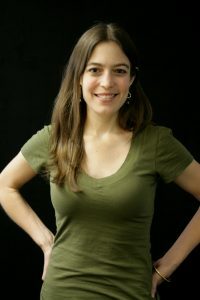 Sandra Beasley is the author of three poetry collections: Count the Waves; I Was the Jukebox, winner of the Barnard Women Poets Prize; and Theories of Falling, winner of the New Issues Poetry Prize. Honors for her work include a 2015 NEA Literature Fellowship, the Center for Book Arts Chapbook Prize, and three DCCAH Artist Fellowships. She is also the author of the memoir Don’t Kill the Birthday Girl: Tales from an Allergic Life, which engages living with a disability. She lives in Washington, D.C., and is on the faculty of the low-residency MFA program at the University of Tampa.